Handmade Alluminium 7U Case 84HP, Anodized Black 2x3U & 1x1U fully configurable. Flight case included. 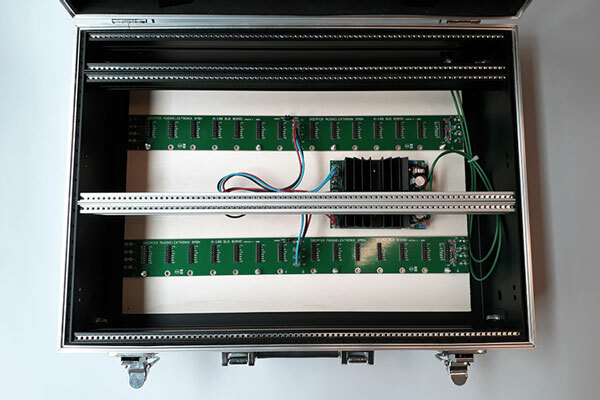 It's perfect for travel with your Eurorack system and also for your studio setup because the eurorack box can be removed from the suitcase. Powered with Doepfer A-100 Kit.